The paper, published in « International Journal of Current Engineering and Technology » deals with the basic design of a laminated leaf spring and analyzing the composite material values for different orientations of the fiber. For this purpose the laminated leaf springs are made of steel and composite material of unidirectional E-glass/ Epoxy, with the same dimensions. A static test rig is fabricated to conduct deformation test under various loading conditions for both the above materials. The deformations are compared for both the above materials. A three dimensional model of entire leaf spring is modeled using Solid Works. The static analysis is done using ANSYS. It is observed that the deflections in the Composite leaf spring are greater than the steel leaf spring for the same load. The stresses in the Composite leaf spring are less than the steel. And, the spring weight of the Composite leaf spring is observed to be 70% lower than the steel. Despite extensive investigations on the energy absorbing capabilities of fibre reinforced polymer (FRP) composite absorbers under axial loading, the off-axis crashworthy behaviour of composite absorbers remains unknown. In the present paper, published by School Aerospace & Aircraft Engineering-Kingston University- London, the effects of stitching on the crack growth resistance, energy absorption and also off-axis crashworthy behaviour of CFRP composite box sections will be studied. The analytical methods are implemented to investigate the effect of various failure modes such as bending, friction, bundle fracture, and interlaminar crack growth for the observed crushing modes. An interesting publication in « Engineering Failure Analysis » of Decembre 2008. This paper is a discussion about automotive suspension coil springs, their fundamental stress distribution, materials characteristic, manufacturing and common failures. An in depth discussion on the parameters influencing the quality of coil springs is also presented. A paper presented at the Sixth International Conference of Engineering Failure Analysis on July 2014 in Lisbon – Protugal. 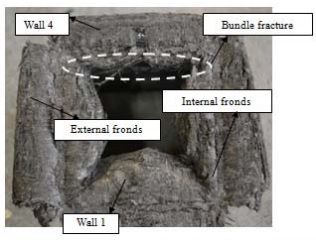 This paper brings out the detail of investigation carried out on failing rail axle bearing. 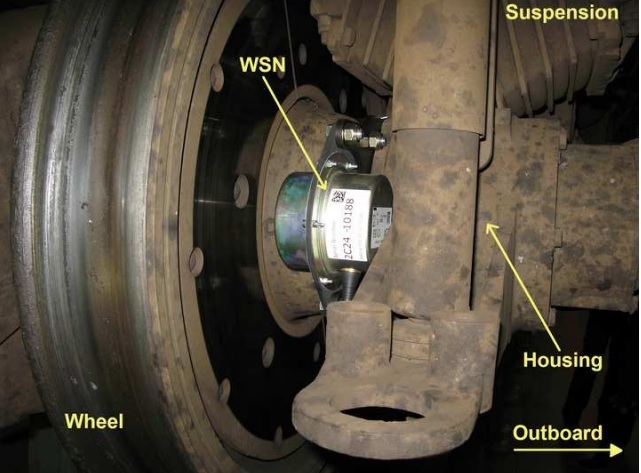 A novel condition monitoring system has for the first time enabled reliable extraction from service and detailed forensic examination of failing rail axle bearings, before the usual catastrophic destruction of the evidence. Computed Tomography has been used to produce a map of the damage allowing targeted sectioning of subsurface cracking. 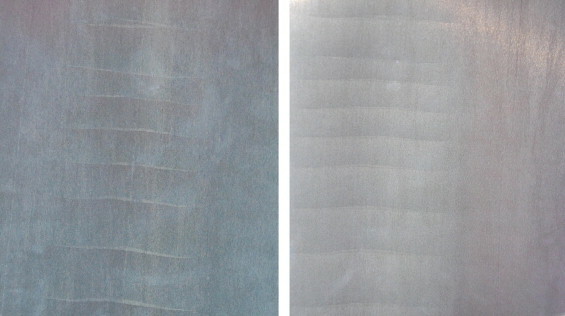 Traditional metallographic techniques have revealed large white etched layers associated with the subsurface cracking, while observations with a scanning electron microscope have confirmed rolling contact fatigue crack propagation, possibly initiated from pre-existing electrical arcing damage of the raceways. A new « Case study in Engineering Failure Analysis » published on ScienceDirect.com. 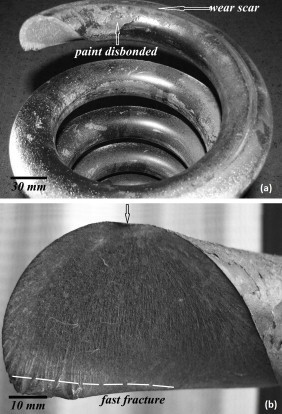 This paper reports investigations after diversion due to coil break in cold rolled non oriented (CRNO) grades of coils showed an increasing trend during Jan–May’12 at Silicon Steel Mill (SSM), Rourkela Steel Plant (RSP). Coil break increased from a level of less than 1% during to a level of 30% in May’12. Samples from hot rolled coils and finished coils were taken and detailed metallurgical investigation was carried out to ascertain the genesis of such defects. Further studies were carried out in the processing lines and material flow was tracked from steel making to final product. The probable reasons were identified and corrective measures were taken leading to reduction in diversion due to coil break less than 2%. A new paper published in « Case study in Engineering Failure Analysis » on ScienceDirect.com. Vibration isolators are used in launch vehicles to protect sensitive electronic equipments from the rigors of flight structural vibrations during the lift-off and ascent phase. Failure of one such vibration isolator made of AISI 304 is reported in the present study after ground level testing has been completed. Finally, it was concluded that micro cracks formed during the deep drawing operation due to large strains at the fore end corner propagated during vibration testing resulting in the failure of the body of the vibration isolator. This paper was published in « International Journal of Innovative Research in Science, Engineering and Technology ». This paper presents an investigation report of effect of various parameters which affect the performance of an automobile engine. Almost all internal combustion engines have at least one connecting rod to transmit the thrust of the piston to the crankshaft, and as the result the reciprocating motion of the piston is translated into rotational motion of the crankshaft. From the viewpoint of functionality, connecting rods must have the highest possible rigidity at the lowest weight capable to withstand varying loads. It has been found that structural failure of various components results in engine missing and starts producing noise and vibration during racing, mileage gets affected and black or white smoke arise also pickup gets reduced. In automobile industry damaged or broken parts are generally too expensive to replace or repair especially in case of engine. In this concern we presented detailed analysis of causes along with preventive maintenance suggestion schedule for better engine life.